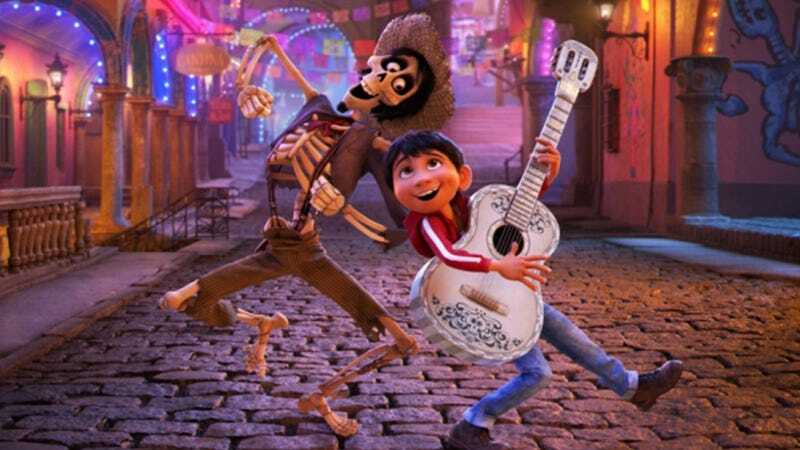 We still can’t get the lovely songs of Coco out of our head. Long before Pixar pays thousands of people millions of dollars to animate their incredible films, the people responsible for the story make the movie again and again. There’s the script, of course, but the film is also laid out, shot by shot, with storyboards. By doing this, the film’s director and everyone down the line can basically watch rough versions of the film without dedicating too many resources early on. Maybe it’s working, maybe it isn’t, but from that state they’ll continue to adjust the movie until it’s just the way they want it. Once that’s done, animators get to work finalizing the beautiful, labor-intensive, computer-generated images Pixar pioneered more than 20-years-ago. This new Script to Screen shows the storyboards for the talent show scene in Coco alongside the finished film and, well, it’s gotten much prettier. It’s a fascinating process that fans rarely, if ever, get to see, except in little snippets like this. Check it out. If you haven’t seen Coco, what are you waiting for? It’s available everywhere you can buy or stream movies and won two Oscars. It’s a lovely, memorable film.